Being a premier city, Hotels in Christchurch are large, friendly and well-equipped. Since the 2011 earthquakes, most places outside the Red Zone are open for business again, with plenty of options at all budgets. Christchurch Hotels have worked hard to get back to normal since the 2011 earthquakes. Always known for their Kiwi welcome, visitors will also find some great amenities. Corporate guests should head for Latimer Square and the edge of the Red Zone, where there are still many large, familiar hotels open as normal. The airport, to the northwest of the CBD, has a plethora of quite comprehensive hotels, ideal for early or late flights. Outside the CBD, you'll get peace and quiet in Merivale (Papanui Road), or around the edges of Hagley Park. You'll have to stay central, though, if you want the rooms with a view, and the four star facilities. Rolleston Avenue, Durham Street and Worcester Boulevard all have some lovely boutique hotels, close to all the city's attractions. 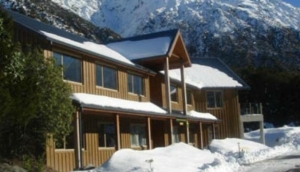 Further afield, you'll find luxury and scenery in remote Mt Cook at the Hermitage, and French colonial charm in Akaroa.